Let’s say for a moment that I really hate ducks. Seriously, ducks killed my parents and burned my childhood home down and I can’t stand them. And, for whatever reason, my neighbor across the way filled my house with ducks because she can’t stand me. I tried to explain that I was standing on MY lawn, but that didn’t seem to make a difference. At time = 0 (the moment I get home and start freaking out), the duck population is 120. At time = 1 hour, the duck population is 60. At time = 2 hours, the duck population is 30. At time = 3 hours, the duck population is 15. At time = 5 hours, the duck population is 4. At time = 6 hours, the duck population is 2. At time = 7 hours, the duck population is 1. 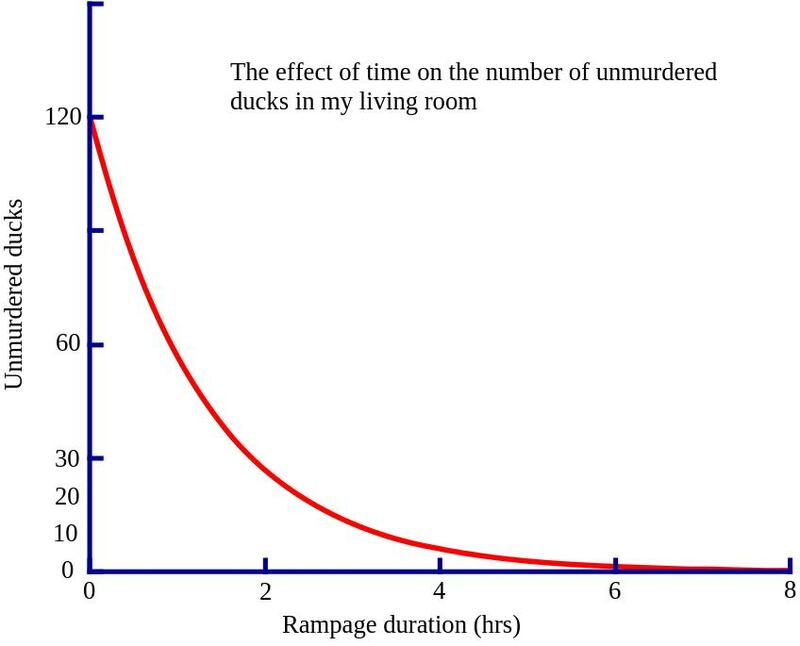 At time = 8 hours, there’s a 50% chance I’ll kill a duck each hour and there won’t be any. The half-life of a process is the amount of time it takes for the process to finish halfway. 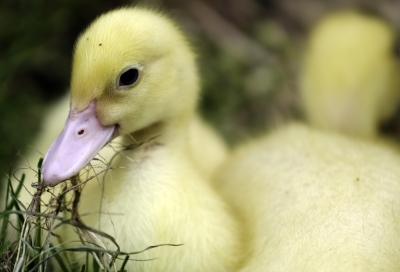 In the case above, the half-life of a duck is 1 hour because half the ducks would be dead in 1 hour. The half life a chemical reaction is the amount of time it takes to get half-finished. And, yes, the amount of time it takes for a radioisotope of some element to decay into smaller bits is called its half-life. Half-lives represent statistical processes. If I have 120 ducks in my living room, 60 will be dead in an hour. I don’t have any idea which 60 will be dead, but given my past duck-killing experiences, I know that I can expect 60 to enter the duck afterlife. Likewise, when we talk about 120 moles of some isotope, we know that after the half-life has passed, there will be only 60 moles. Which atoms decay, however, is not something we can predict. Half-lives can refer to any process, not just nuclear decay. I mentioned that above, but I want it to be clear that if you read something about a reaction with a half-life of 4 hours, you’re not going to expect a glowing mass to erupt in your classroom. λ, on the other hand, stands for the radioactive decay constant, which can be used to describe the half-life of a process. It also looks cooler on video game boxes. Question: If the half-life of tungsten-190 is 30.0 minutes, how much tungsten-190 will remain after 150.0 minutes if I’m originally given a 400.0 gram sample? Answer: Given a half-life of 30.0 minutes, 150.0 minutes represents five half-lives. As a result, all you have to do is divide the original quantity of 400.0 grams in half five times. If you’ve got a calculator, you can find that this is 12.5 grams. Which is the answer. Similarly, if you get a question that asks “How long will it take for 10 grams of an isotope with a half-life of 25 minutes to remain from an original sample of 80 minutes?” you’d just figure out that when you divide 80 by two three times you get 10 (80/2 = 40; 40/2 = 20; 20/2 = 10). Three half-lives is 75 minutes, so that’s how long it would take. Question: If the half-life of tungsten-190 is 30.0 minutes, how much tungsten-90 will remain after 114 minutes if I’m originally given a 400.0 gram sample? Answer: This is a little problematic because 114 minutes doesn’t correspond to a whole number of half-lives. This makes us sad. This looks tough, but it’s not. If we translate this into words that actual people can speak, what it says is that the amount of stuff left over is related to the amount you started with and the number of half-lives that have elapsed. 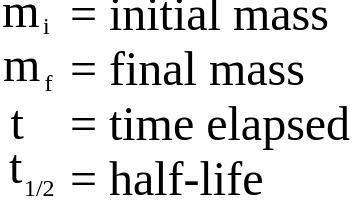 In other words, if you know how much you started with and what the half-life is, you’re in good shape. As a result, if we plug the numbers for time into the equation, we find that we’ve gone through 3.8 half-lives, resulting in a final mass of 28.7 grams. Here’s the story: When living things are doing their living, their tissues are constantly taking in carbon and getting rid of carbon through the normal process of living. If you live in an environment that is 30% carbon-14, you’d expect 30% of the atoms of carbon in your body to be carbon-14. So far, so good. As it turns out, carbon-14 is radioactive and has a half-life of 5,730 years. Additionally, the amount of carbon-14 in our environment is fairly constant, because it’s created at a constant rate in the atmosphere through interactions with cosmic rays. Though carbon-14 down on earth decays away, the amount of carbon-14 made in the atmosphere replenishes it. This gives us a handy way of figuring out how old living things are. While living things are alive, they’re living in an environment with constant quantities of carbon-14 and incorporate it into their tissues. However, once the living thing dies, it no longer takes in carbon-14, so the percentage of carbon atoms that are carbon-14 decreases over time. As a result, we can use the equation above to figure out how old something is – we just solve for t given the other data we collect. 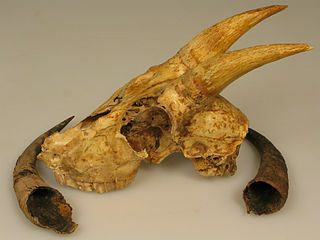 Radiocarbon dating has determined that whatever the hell this is lived about 15,000 years ago. However, there’s more to this than your textbook is telling you. Only one out of 1 trillion atoms of carbon in the atmosphere are carbon-14 (the rest are carbon-12 and carbon-13), so we really don’t have a lot of carbon-14 atoms in us even when we’re alive. However, let’s consider trying to figure out what would happen if people 100,000 years from now would try to figure out how old my body is. The average human contains about 16 kg of carbon, and given that carbon-14 makes up only a small fraction of our carbon atoms, this corresponds to about 0.0016 nanograms present in my body right now. In 100,000 years, there will be only about a million atoms of carbon-14 left in all of my remains. Assuming animals didn’t eat any of me, of course. Bad dog! You put down Uncle Charlie RIGHT NOW! Given that our remains are disturbed (i.e. eaten by wolves), that our bodies are soaked with water and mixed with organic debris after our deaths, and that rotten stuff kind of oozes everywhere, there’s no possible way to find such a small number of atoms of carbon-14, much less measure it. As a result, very old samples use other radioisotopes for finding the ages of items – you can find out more info about that here. Duck graph: By Dirk Hünniger (Own work) [GFDL (http://www.gnu.org/copyleft/fdl.html) or CC-BY-SA-3.0 (http://creativecommons.org/licenses/by-sa/3.0/)%5D, via Wikimedia Commons. 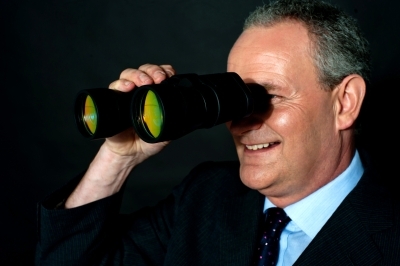 Binoculars guy: Image courtesy of stockimages at FreeDigitalPhotos.net. 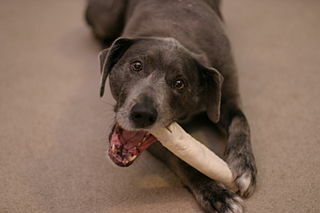 Dog: By Shane Adams [CC BY 2.0 (http://creativecommons.org/licenses/by/2.0)%5D, via Wikimedia Commons.